Smoothies are a great way to get in loads of nutrients. They are especially great for little ones who may not otherwise eat some of the ingredients. They will NEVER KNOW! (Insert mischievous grin here). Blend all ingredients in blender until silky smooth. 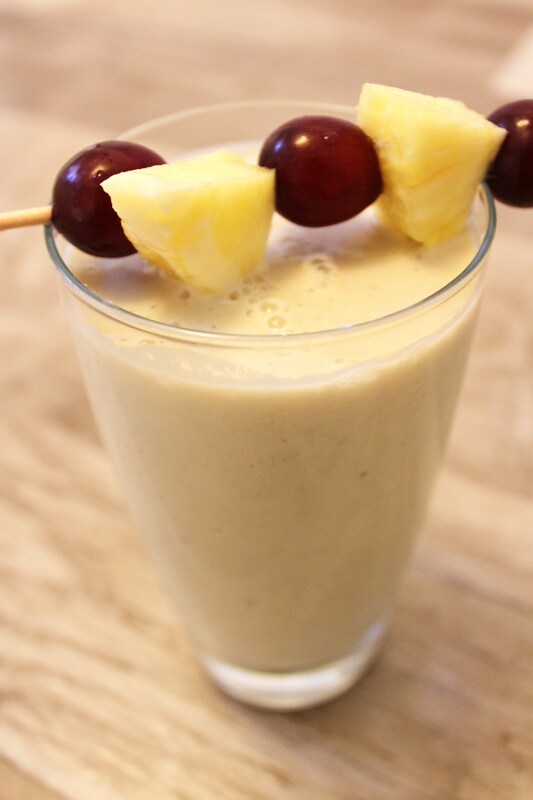 Garnish with grapes and chunks of pineapple.